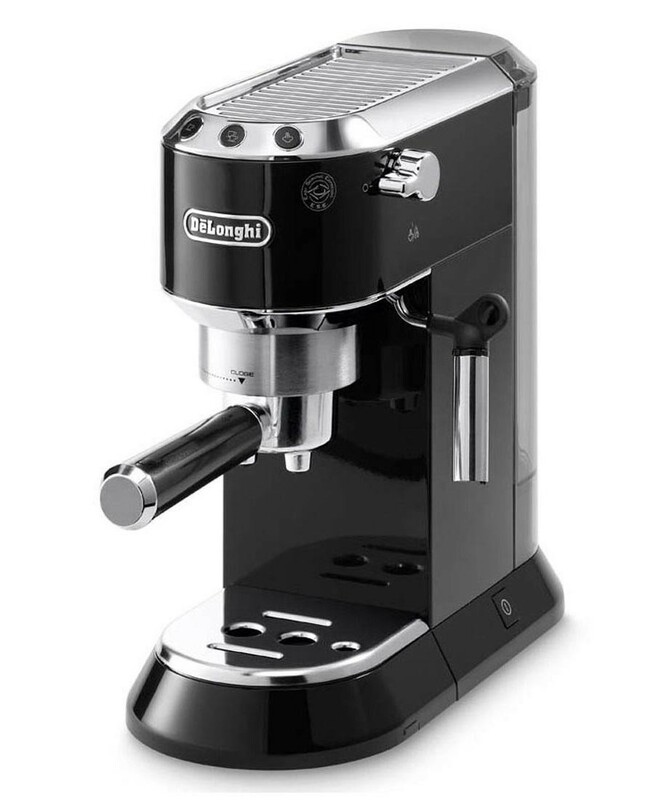 The Dedica from DeLonghi is a must for any budding barista taking their first step into domestic pump espresso machines. You can make an array of hot beverages, and using the manual milk frother you can make the perfect lungo, latte, cappuccino, or other milky drink. 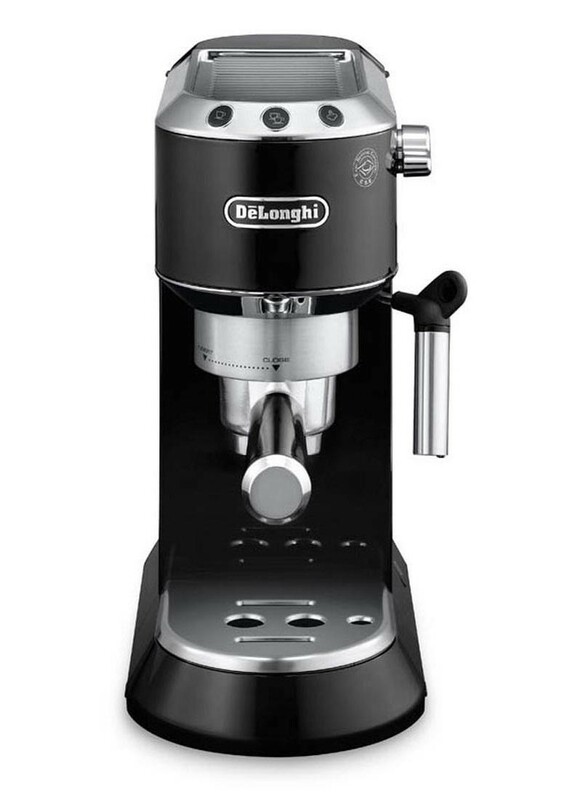 It produces 15 bar restaurant and coffee house standard coffee in the comfort of your own home. It can either be used with ground coffee or Easy Serving Espresso (ESE) pods and comes with 3 interchangeable crema devices for 1 or 2 cups simultaneously. If you wish to create milky coffee drinks, then the manual milk frother gives you that flexibility. The removable drip tray with water level indicator allows you to maintain the machine with ease. It has a descaling alarm to help you keep it in the best shape.